Another year of Camp Idlewild is in the books. Camp has been a labor of love for me since I went for the first time when I was 9 years old. There haven’t been too many summers in my life that I wasn't trudging around many of those 72 acres in Surry County, As I get more mature (i.e. “old”), it is harder to generate the needed energy for camp each year, but I am always glad that I went back. 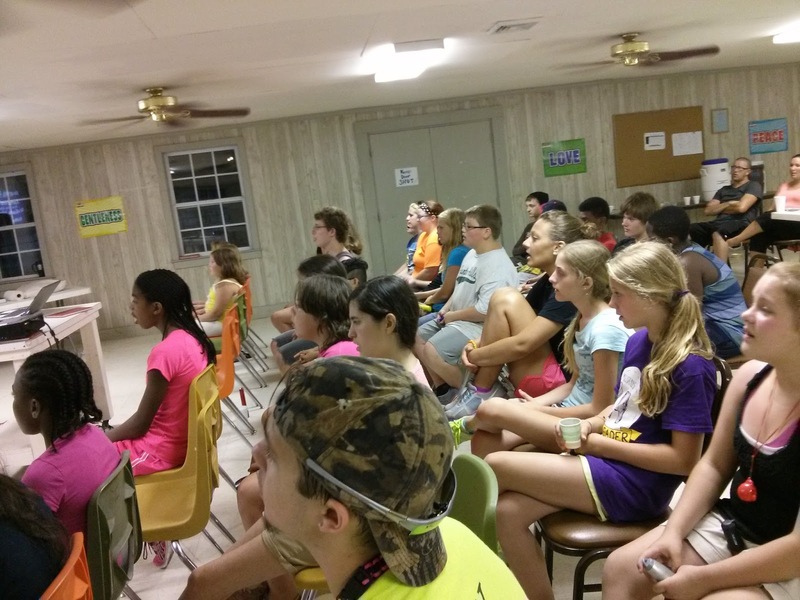 The 2013 installment of Camp Idlewild was one of our best. We certainly were blessed with the best weather ever; I didn't have to reschedule a singe event because of rain or heat (first time that has happened). 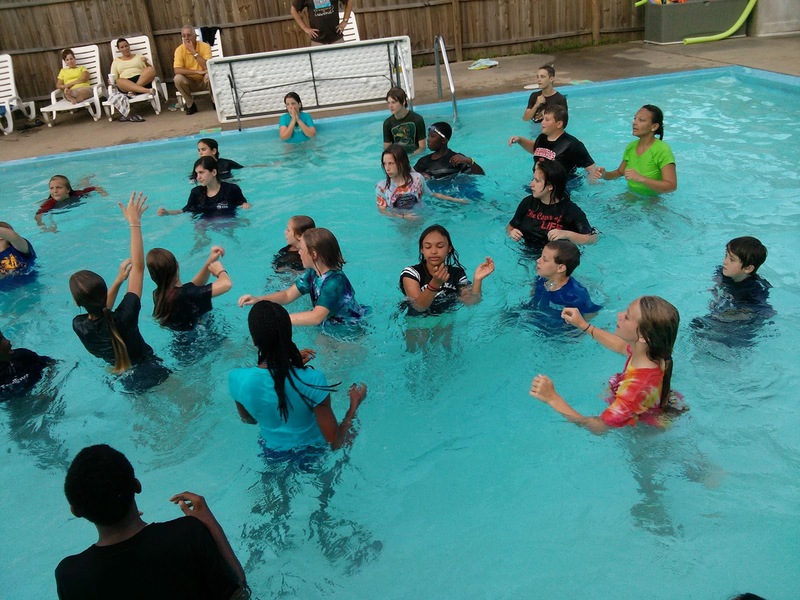 Our overall numbers were off a bit— 17 girls and 9 boys, but what we lacked in sheer numbers we made up with enthusiasm and volume! We did have one serious injury as Esther Stevens broke her collarbone the very first day, but we are glad to hear that she won't need the surgery they feared that might be required. In fact, Esther went back to camp this week with the senior high group. live in the Christian life and we can only live in through God's grace. Our Bible classes were based in Philippians and God’s call to “press on to take hold of that for which Christ Jesus took hold of me.” Our devotionals at night looked at the “Fork in the Road” decisions that some Old Testament characters (Daniel, Joseph, David, Abraham, and Josiah) had to make in their amazing race and how we make many similar decisions that impact our lives both now and in the future. 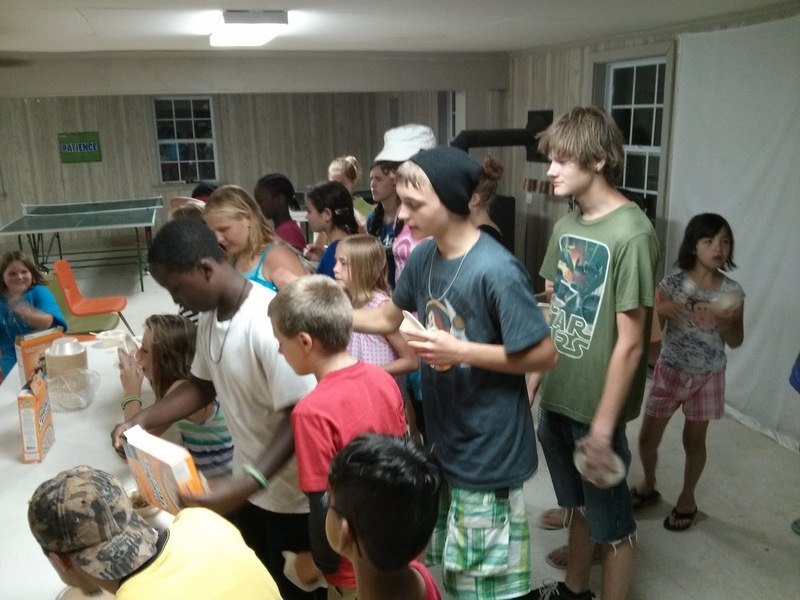 The kids did a great job staying with us in classes and during devotionals. One highlight was when Peter Stephens and Jacob Potts stepped in to lead singing at devo after Roger and David left camp earlier Friday. Thanks to all who worked so hard to make camp such a success-- Roger Brown (my right hand man who abandoned us a day early... though I have no hard feeling), Sean Goodyeon (our wild and crazy athletic director), David Stevens and Sarah Reasons (who did a great job as Bible Teachers), Lynn Tucker (our camp nurse), Bruce Gaynon and Scott Carr (our “Energizer Bunny” handymen who never stopped the whole week), Cindy Byrd and Dawn Tanner (great job with crafts, canteen and several other jobs), Wally Nooner (our intrepid head cook) Sara Goodyeon (Wally right-hand assistant) and Angela Johnson (who took care of the dining hall). I can say enough about the job Will Respess, Jacob Potts, Afton Adkins, Kimberly Respess and Crystal Sweatt did as my youngest group of counselors ever... and some of the best. Thanks to everyone who made this week special-- campers, staff, our Denbigh church family... and especially thanks be to our God.